Not being a historian, I can only offer you a bit of the things I remember from listening to and overhearing my Grandmother (the mother of my stepmother) Emma Kopischke. My Grandfather was a teacher, and the Kopischke’s had been lured (I do not know by which administration) to move into the Eastern Territory as part of the “Germanisation Effort” program of the Prussian State. I believe the intent was to take German culture and preciseness there, to exploit the vast farmland areas and to provide the “homeland” with agricultural products. Grandfather taught mainly the children of settlers (“Kolonists”). From Grandmother I remember remarks about the Polish field hands and house helpers to be mainly negative or derogatory. From her occasional talks I formed a picture of Wanda, the house maid (probably a kind of servant) as being lazy, dumb, uneducated and primitive. She and other Poles had to constantly be watched or they would steal your shirt off your back. Things like that. I do not remember ever hearing a word of praise about the local population. I assume the settlers suffered from adverse propaganda and/or were brainwashed and felt like the superior race or population. The Kopischkes lived in the Posen (Poznan) area. I remember hearing of visits to settler friends in Gnesen, Tschenschstochau and other neighboring villages. Those German settlers were driven out of the territory sometime around 1900 or so. The Kopischkes moved to Goerlitz, (then Silesia), a city which today is split by the Neisse River, the new Polish/German border since 1945. I grew up there, in the triangle where Germany, Poland and the Czech Republic meet. One of my sisters and her descendants still live there today. Your Schmidt family settled not far from the Poznan area, a few miles north-north-east in the direction toward Dansk. They must have lived under similar conditions as my Kopischkes. In the 16th century Polish landslords brought German settlers, mostly farmers, into the Netzekreis. After the mid-17th century, German craftsmen were hired. The town of Schönlanke, for example, [very near where the Winkelmann and Schmidt families lived] was famous for its textiles (draperies, weavers, clothiers). In 1772 Netzekreis (including the city of Schönlanke) became Prussian. There were 220 clothmakers and many shoemakers, tailors and other craftsmen at that time. After 1822 Russia closed its borders for imports and exports and the machine age began. It was the beginning of the end of the textile industry in that region. Their guild was dissolved in 1888.But more and more craftsmen immigrated there, bakers, slaughterers, carpenters, masons, blacksmiths and merchants etc. The town grew slowly but steadily, and a railway station was built there in 1851. The economy stagnated somewhat after that. But after the “Gründerzeit” – the founder epoche in abt. 1870 – everything had changed. There was a resurgence in the region in the tobacco and timber industry, and many lumber mills and joineries (carpentries) were established there during this period. The word “Kolonist” came from the Latin “colonus” = farmer (Bauer in German). So the “Kolonisten” were settlers… farmers from other regions, who reclaimed moorland, or in this case swampland, along the Netze river and cultivated it. In 1900 Sarah Clifford and her sisters Margaret and Elizabeth all lived together in a house on River Street in Winooski/Colchester, Chittenden County, Vermont. All three are working as weavers in the wool mills. In 1910 Elizabeth and Sarah are still living there together at 93 River Street. Sarah doesn’t seem to be working, but Elizabeth is listed as working in the wool mills as a weaver. Margaret is living separately in Bridgewater, Windsor, VT and working as a weaver also. In 1920 all three are living together again back at 93 River Street. Sarah isn’t working, but Elizabeth and Margaret are still weavers. Elizabeth died 6 February 1929 from a heart condition. In 1930 Sarah and Margaret are living at 93 Water Street together. Sarah died 18 March 1935 from a fractured femur. Margaret is still living there in the 1940 Census, so she must have died sometime after that. She was 74 in 1940. Haven’t found a death cert yet. As far as I know none of the three ever married or had any children. Today I just noticed that the house they lived in is on the corner of River Street and Clifford Street. It was called Clifford Street even in 1900, so I suspect it was the family home where they lived with their parents Robert Clifford and Agnes McWhirter. The family moved there from Alburg, VT sometime around 1872. I might just write to the current residents and request a photo. Hi Charles, I have a document from the Archive in Pila, Poland [formerly Schneidemühl, Prussia]. Your Wilhelmine Winkelmann born 1836 married a Friedrich Schmidt, you said. She was about 44 years old at the time of birth. She and daughter Bertha emigrated to the United States. The document she attached is exactly what she described. A birth record for my great-great-grand aunt Auguste Bertha Schmidt, one of the famed Schmidt Sisters who I have written about many times. Auguste Bertha Schmidt’s birth record. 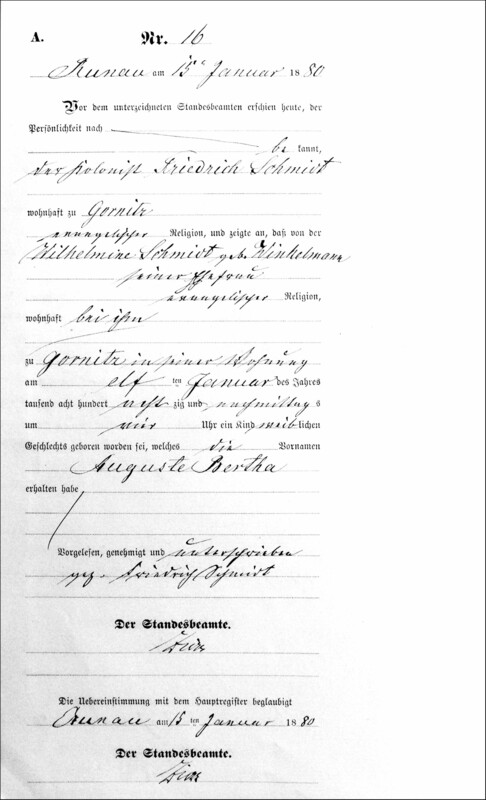 Appeared in person before the registrar: The personally-known settler (Kolonist) Friedrich Schmidt, resident in Gornitz, evangelical (protestant) religion. He reported that his wife, Wilhelmine Schmidt, nèe Winkelmann, evangelical religion, resident with him, has born a female child at home in Gornitz, on Jan 11th 1880, 4:00 p.m. The child’s name is Auguste Bertha. Runau, Kreis Czarnikau, Posen, Prussia (today Runowo, Czarnków-Trzcianka County, Greater Poland Voivodeship, Poland) is only about 3 miles from Gornitz, and may have been some kind of administrative center for the region where the Schmidts lived. One of the most valuable documents I have found in terms of family history is owned by Norma Wendorf Bandock, grand-daughter of William “Billy” Schmidt (1899 – 1990). Fortunately for my family, Norma ended up with a lot of “Uncle Billy’s” documents and photographs, and I’ve never been as overwhelmed as I was the evening I spent digitizing the goldmine that she brought for me to see. Among the treasures, the document that stood out the most was a little booklet that looked like a modern passport. It said “Karl Ernst Wilhelm Schmidt, 1884” on it. 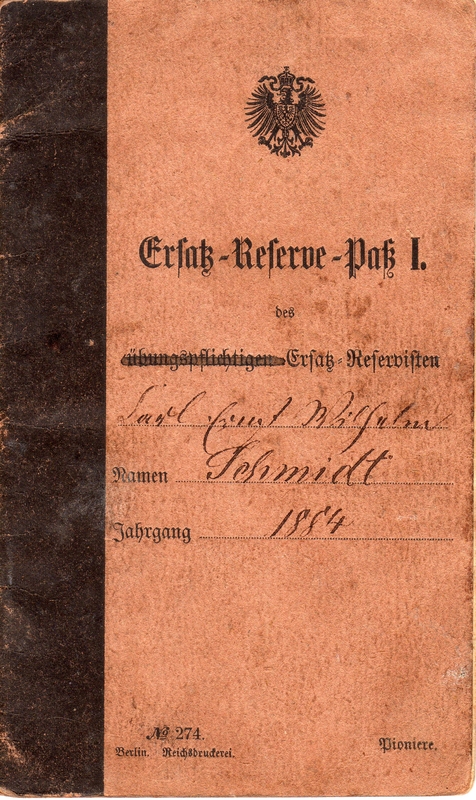 It was, as it turns out, the Prussian Army military passport for my great-great grandfather Wilhelm Schmidt, and was the first document from the “old world” that I had come across at that point. It remains among a very small number of such documents that tell the story of our family before they came to the United States. The passport is, of course, in German, and it’s also lengthy. I paid a historic document expert a tidy sum to translate the entire thing. Most of it consists of rules and regulations about military service in general, and is not specific to Wilhelm, so I’m not going to put it all on here. Instead, I’ll focus on the important parts. Spare Reserve Passport I of the Spare Reservist Name: Karl Ernst Wilhelm Schmidt Service Year: 1884 No. 247 Berlin Federal Print Works Engineers The journeyman carpenter Karl Ernst Wilhelm Schmidt, born August 8,1862 at Weissenfenn, District Wirsitz, is herewith, because of limited military fitness, assigned to the Spare Reserve First Class as Pioneer [Engineer] and is subject to the draft for peace exercises. He has to follow the call to the first exercise on August 23, 1884, is standing under control of the Territorial Reserve Authorities until the end of his 31st year of life and then transfers to the Army Reserve, without the necessity of a special order. 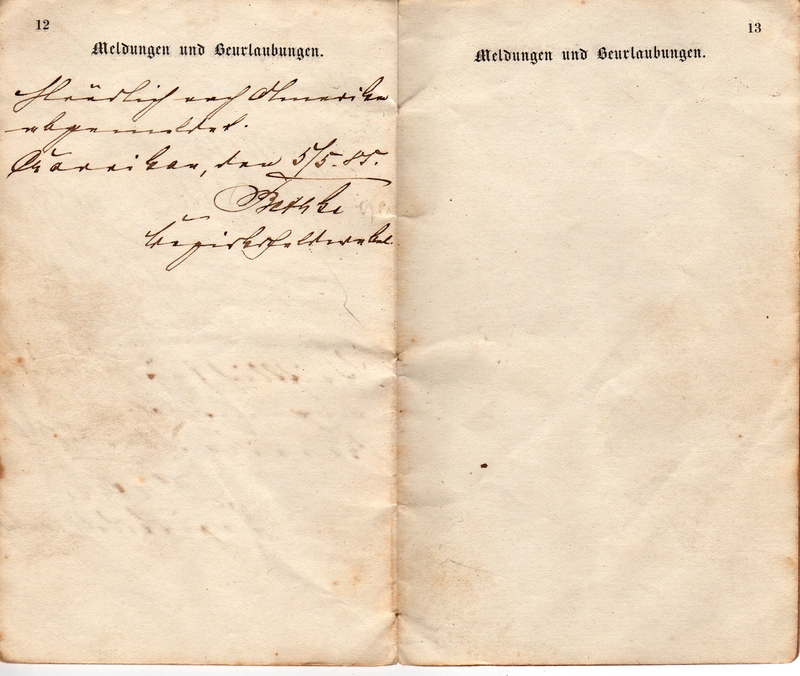 1) By receiving this passport, owner enters the control of the 2nd Territorial Reserve Company of the Territorial Reserve District Command Braunschweig II. He is obliged to report to the Territorial Reserve District Sergeant in Wolfenbüttel within 8 days. So he is ordered to report for duty in Wolfenbüttel (in Germany proper). It’s likely he was working in and around that area as a journeyman carpenter at the time. It gives his place of birth as “Weissenfenn, Wirsitz”. 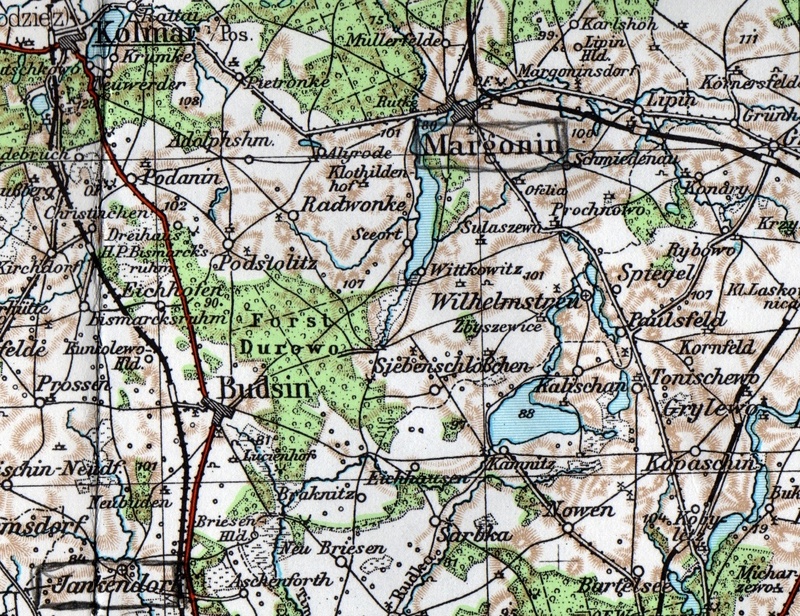 In actuality Weißfenn is in the Friedberg district of Posen, and is very near the town of Modderpfuhl where his father or grandfather was born. The page also mentions his trade as “journeyman carpenter”, which was a fairly specific thing back in Prussia. Read more about it here if you wish, but it’s rather fascinating and romantic. The phrase “because of limited military fitness” is interesting to me. Wilhelm’s son Edwin Schmidt noted on his World War I draft card that he might be excused from military service because he had “broken arches in feet”. Perhaps it ran in the family? Here we just see the date stamps and the responsible parties. We see he is still near Wolfenbüttel, Germany about 21 May 1884. Stricken from category of exercise-obligated Spare Reservist and entered into the category of the non-exercise obligated Spare Reservist 1st Class. During peace time the Spare Reservists First Class do not need a military permit to immigrate, however, they are obligated to inform the District Sergeant of their pending immigration. Anyone dodging this responsibility will be fined up to 150 Marks or be penalized with jail. Owner transfers to Spare part Reserve II class on October 1, 1889. Note that, interestingly, it says you can immigrate to another country in times of peace as long as you notify the District Sergeant of the immigration! (Wow!) This would be important later. So Wilhelm was given permission to immigrate to the US in May of 1885. Remarkable! My impression was that you were in the military for a very long time (up to and including life in times of war). Instead, he was given permission to leave. He came to the US that summer. It’s not clear if (like August Strehlow), he was expected to return to Prussia at some point and he did not. That part is unclear. Anyone who knows me or reads this blog knows that I have a fondness for my Schmidt relatives. The story of Wilhelm Schmidt, who was a journeyman carpenter in Posen, Prussia and was in the Prussian Army, leaving Prussia and his family behind in 1885 to start a new life in the north woods of Wisconsin… how he got married, worked hard and eventually was able to bring his mother and five sisters to Wisconsin in 1892… how he built a little community on Grand Avenue in Rothschild, Wisconsin where his family lived for over 100 years…. it’s a story that’s very dear to me. 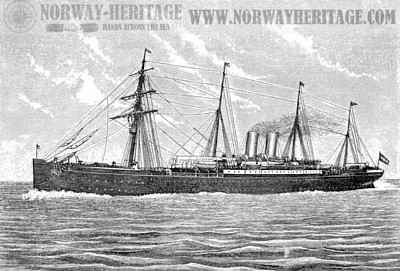 The married couple were traveling aboard the “Aller” (French for “to go”) from Bremen, Germany to New York, arriving on 19 April 1892. It was Christian Karl, Amelie Schmidt and one of their twin sons, Gustav, who was listed as 8 months old. (Yikes!) They are listed as having a final destination of “Wis” and are staying in the Petty Officer’s Room (perhaps because of the young child?). My immediate though was, “Where’s the other twin?”. My cousin Jeannie and I both thought that perhaps they could only handle one 8-month-old at a time on a trans-atlantic steamship voyage, and left the other boy with family they knew would be coming to the US after them. The “Aller”, which brought Amelie Schmidt to the US along with her husband and son Gustav. Later that same night, I found what I was looking for (again, after digging through a mountain of records that were not the right ones). Another New York passenger list for the “Ems”, once again traveling from Bremen, Germany to New York, arriving on 25 July 1892 (about three months after the Karls arrived). Aboard were Wilhelmine “Schmith” (55 years old), her daughters Alvine (26) and Bertha (13) and 9 month old child “Wilhelm Schmith”. This was, of course, the other twin son Wilhelm Karl. Passenger list for the “Ems” bringing Wilhelmine Winkelmann and her family to the US. Even more remarkable to me was that it actually listed “Gornitz” as the home town for the Schmidts. Bertha had been born there in 1880, according to her marriage document, and I knew Wilhelm had been living there in 1884 and 1885 from his military passport. I also knew that Wilhelm had paid for the passage to the US for a friend of his, Emil Prielipp, who was from Gornitz. This was yet another piece of evidence that the family lived there from at least 1880 until 1892 when they came to the US. 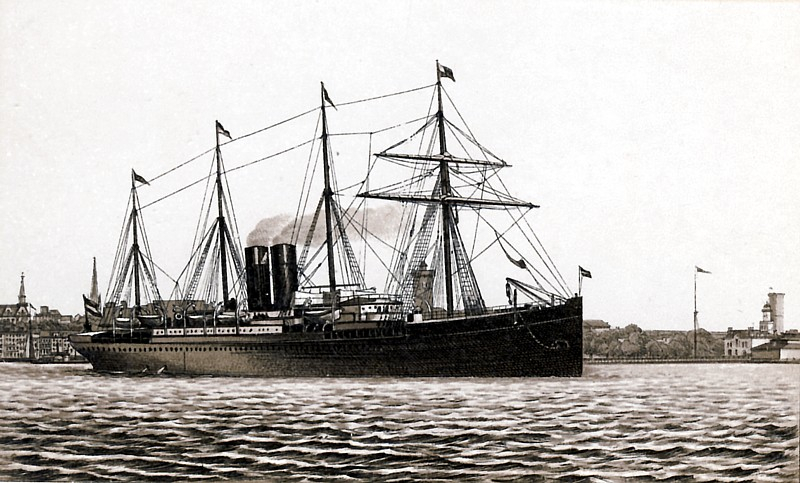 The “Ems” which brought Wilhelmine Winkelmann, Alvine Schmidt, Bertha Schmidt and Wilhelm Karl to the US. So Wilhelmine Winkelmann, my 3x great grandmother, traveled to the US with her two daughters and her grandson, arriving in New York on a summer evening in 1892 to begin her new life in the US. Some short time later, she was reunited with her son and her other daughter who had come before her. I’m still looking for the remaining passenger lists. I have a possible hit for Wilhelm, who came to the US in mid 1885. I also still need to find lists for Antonie and Pauline, but I’m guessing they were traveling from Bremen to New York, so that should make it easier to find them. There are a few threads I need to tie together here about the Zierke family. It’s far from a complete story at this point, but the evidence is growing so I want to document some things I found today. First the backstory. 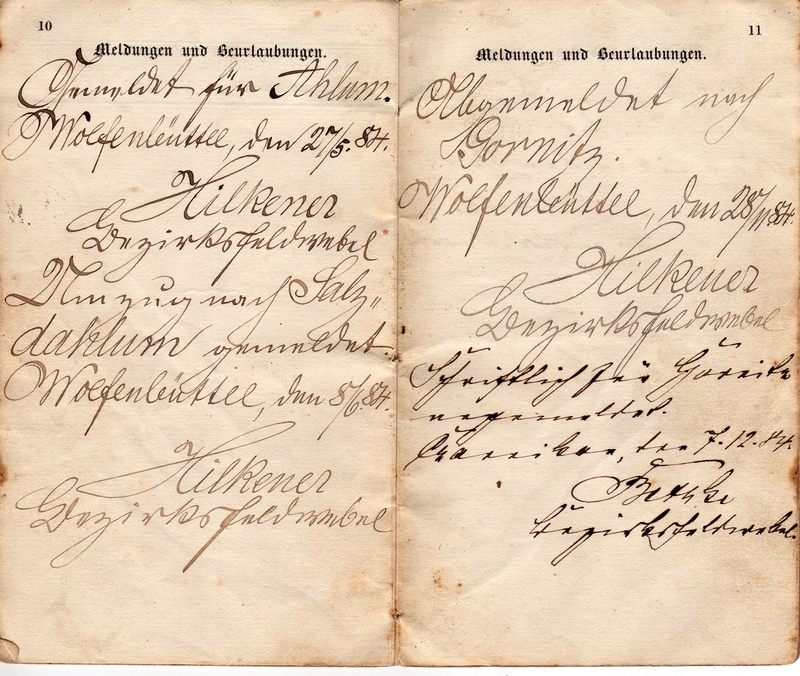 My great-great grandmother Ottelie Zierke’s parents were Friedrich Zierke and Wilhelmine Schulz. That’s my connection to both families. There is some circumstantial evidence that they knew each other in Prussia and after Friedrich Zierke came to Harris, Wisconsin in 1865, Wilhelmine Schulz came to Wisconsin shortly after, and they were married here in November of 1866 or 1867 (their obits disagree on the year). We know the Schulz family came from Podstolitz (today called Podstolice, Poland), and the town we currently believe the Zierkes came from was called Jablonowo, which is about 18 miles to the West of Podstolitz. My Zierke relatives landed in the US in 1865. They spent up to a year in Waukesha, Wisconsin before settling down in Harris, Wisconsin. I have spent a fair amount of time documenting another group of Zierkes who lived in Princeton, Wisconsin, which is only 18 miles away from Harris. So far I have had no hard proof that the two families are related, but I am nearly certain that they are. (For example, the brother of my grandmother Wilhelmine Schulz, Martin Schulz, spent years in Princeton, Wisconsin after coming to the US from Posen, and got married there.) So I keep looking for evidence. This is great for several reasons. This is 100% certainly the family that I’ve been working on in Princeton, Wisconsin. The marriage, while recorded in Margonin, actually took place in Siebenschlößchen. That town is only about 5 miles away from Podstolitz, where my Schulz relatives came from. 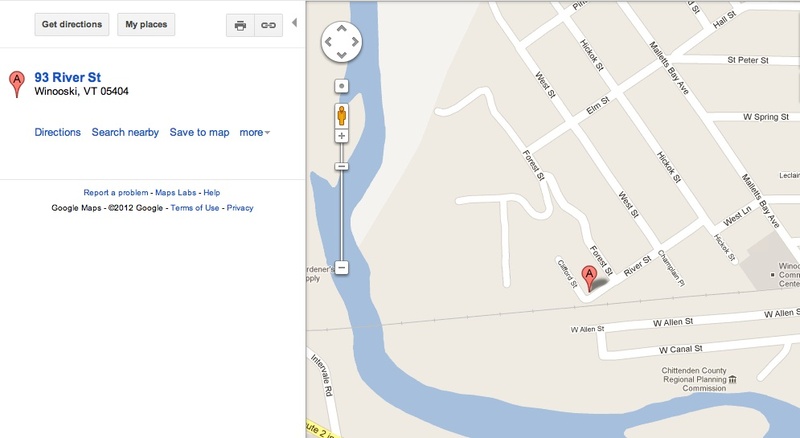 This says to me that MY Schulz family and the Princeton Zierke family were all in the same area. To me, it is strong evidence that this Princeton Zierke family and my Zierke family are the same. I’m expecting to find out that all of them came from this basic area of Posen, and I feel it’s just a matter of time before I understand the connection between the Princeton Zierke clan and my family from Harris. Passenger list for the “Teutonia” bringing the Strehlows to New York from Hamburg. August is 25 years old and traveling with Wilhelmine, Bertha and Hermann Strehlow. He is listed as a “Zimmerman”, or carpenter. Based on his age, who he’s traveling with, and the town he’s from (the Strehlow home town of Wandhagen, Schlawe, Pommern, Prussia), my guess is that he’s the brother of Ferdinand Strehlow. I am continuing my search for proof of this relationship. He may be a cousin. After arriving in the US, the Strehlow family was living in Polk, Washington County, Wisconsin. The 1870 census shows Ferdinand Strehlow, his wife Wilhelmine, their children Bertha and Hermann and August Strehlow all living together. Ferdinand and August are both listed as “Carpenters”. 1870 Census for Polk, Washington, Wisconsin. Der Pionier (Zimmermann) Carl August STREHLOW, am 12. 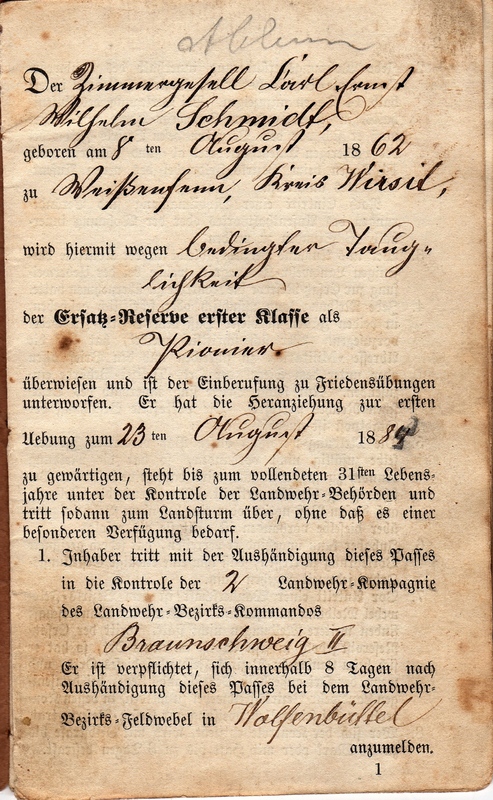 November 1842 zu Wandhagen (Kreis Schlawe) geboren, vom 16. Oktober 1864 bis 31. Juli 1867 bei der 3. Compangnie Pommerschen Pionier-Bataillions No. 2 gedient und bis 17. März 1869 ins Ausland beurlaubt, hat sich bis jetzt von diesem Urlaub nicht zurückgemeldet, und keine Verlängerung desselben beantragt. Derselbe wird hiermit aufgefordert, sich binnen 3 Monaten im Bureau des königlichen Bezirks-Commandos des 1. Bataillions (Schlawe) 6.Pommersches Landwehr-Regiments No. 49 zu melden, widirgenfalls die Untersuchung wegen Desertation gegen denselben eingeleitet wird. Schlawe, den 1. 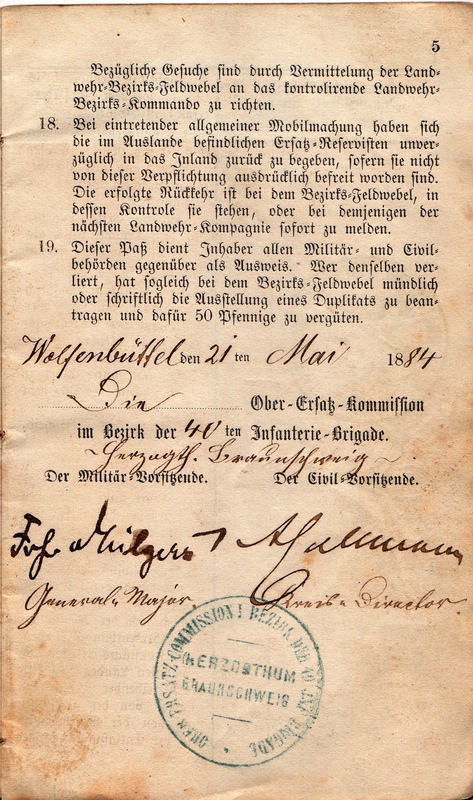 April 1870.
königliches Bataillion (Schlawe) 6.Pommersches Landwehr-Regiments No. 49. The Engineer (Carpenter) Carl August Strehlow, born November 12, 1842 in Wandhagen ( district Schlawe) has served from October 16 1864 through July 31, 1867 at the 3rd company of the Pommeranian Engineer Battalion No. 2. He had been granted leave for foreign country until March 17, 1869 but has not reported back from this leave and has not petitioned extension of it. Herewith, he is summoned to report to the Office of the Royal District Command of the 1st Battalion (Schlawe) 6th Pommeranian Territorial Reserve Regiment No. 49, within 3 months. In default whereof a desertion investigation against him will be initiated. This tells us so much about when August Strehlow served in the military, what he was doing there, his trade, where he was from, when he was born, and what he did during his service. Pioneers served in special pioneer batallions. On active service (in the Prussian Army) they moved at the head of marching columns with axes, shovels and pickaxes clearing obstacles or building bridges to open the way for the bulk of the regiment to move through difficult terrain. My great-great-grandfather Wilhelm Schmidt was also a carpenter and also such a “Pioneer” in the Prussian Army. It also shows that he left the military, came to the US and never went back. In cases like this the person was usually tried in absentia and found guilty of desertion. If he had ever returned to Prussia he would have been arrested and imprisoned. Instead, he moved to Merrill, Wisconsin and tried to raise a family with his wife Wilhelmine Eleanor Rubow. Sadly, of the eight children I know about, six of them did not live beyond the age of four years. Many of these unfortunate children are buried with the parents at the Merrill Memorial Park Cemetery. (See attached document.) Fortunately, at least one of their children, Alma Louise Strehlow (1888-1951) survived. 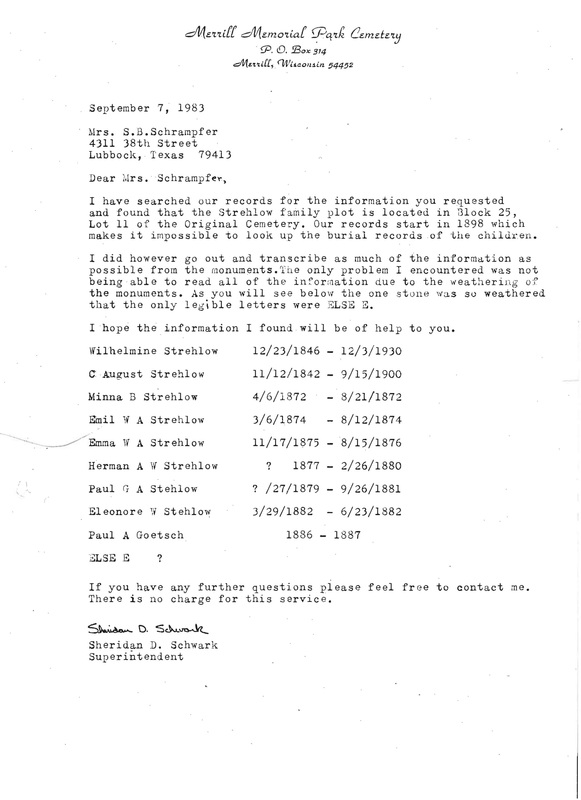 Cemetery Records for the Strehlow family showing the many children who died in infancy or early childhood.